TALLAHASSEE, Fla. – Redshirt sophomore Derwin James and junior Tarvarus McFadden have been named first team All-Americans by the Associated Press, the organization announced Tuesday morning. Both members of the Florida State defensive secondary were previously named first team All-ACC. James, from Haines City, Fla., has racked up honors this offseason, being named the top player in the country from both Sports Illustrated and ESPN while earning spots on watch lists from the Bednarik, Maxwell, Nagurski, Hornung, Butkus and Walter Camp awards. James played two games in 2016 due to injury, but was a freshman All-American in 2015 after notching 91 tackles, 4.5 sacks and 9.5 tackles for loss. McFadden, from Fort Lauderdale, nabbed a nation’s-best eight interceptions in 2016 and is on the watch list for the Bednarik, Nagurski, and Thorpe awards. 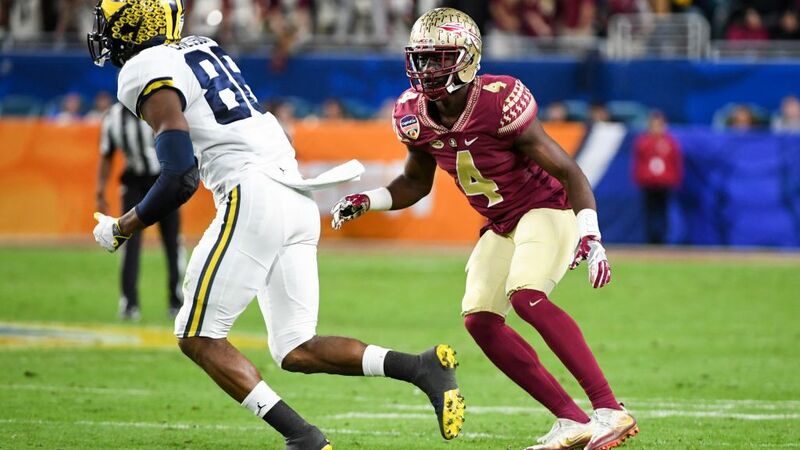 Last year’s Jack Tatum Award winner as the nation’s best defensive back, McFadden’s eight interceptions are the second-most in a single season at Florida State, trailing only Terrell Buckley’s 12 in 1991. McFadden had interceptions in eight separate games. This is the first year the Associated Press has released a preseason All-America team. On Monday, the Seminoles were ranked No. 3 in the AP’s preseason poll.